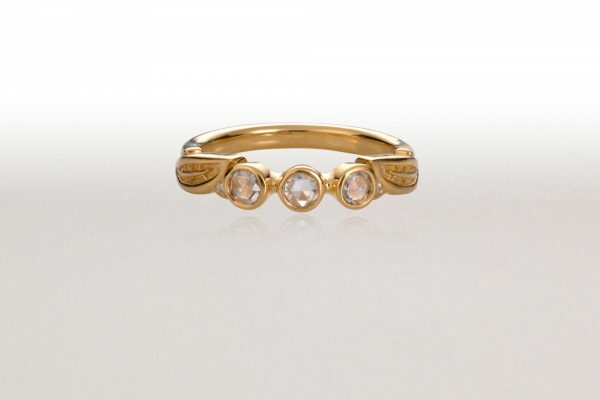 This 18k gold ring has symmetrical leaves, and is set with 3 clear rose-cut diamonds. 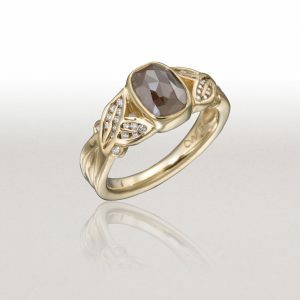 3 rose-cut diamonds are set in 18k gold with diamond brilliant accent. The leaves are symmetrical. 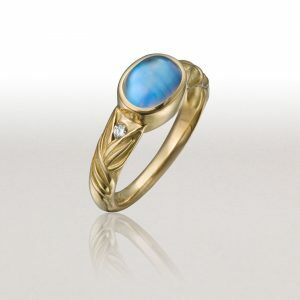 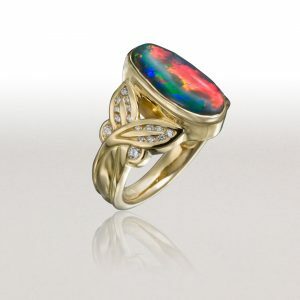 This ring may be ordered with leaves leaning left or right.